The government announced proposals to replace Section 44 stop and search powers with a "more tightly defined power" and necessity test. The proposals are the result of a review of counter-terrorism legislation following a European Court of Human Rights' ruling last year that Section 44 powers were illegal. 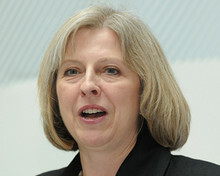 According to the review's findings and recommendations, released today, the Home Office had also been considering the repeal of Section 44 in its entirety, as previously supported by MP Don Foster, but concluded that the absence of any form of 'no suspicion' terrorism stop and search power would lead to an increase in the levels of risk. The proposals instead recommend replacing Section 44 with a new power that would allow a senior police officer to make an authorisation for stop and search powers "where they have reason to suspect a terrorist attack will take place and searches are necessary to prevent it". They also recommend that the maximum period of an authorisation should be reduced from 28 days to 14 and that authorisations can cover a geographical area as wide as necessary to address the threat. "The threat from terrorism remains serious and complex and I have always said that this government's first priority is to protect public safety and national security," Home Secretary Theresa May said in a statement. "But for too long the balance between security and British freedoms has not been the right one. "The measures we are announcing today will restore our civil liberties while still allowing the police and security services to protect us. "They are in keeping with British traditions and our commitment to the rule of law. I also believe they will restore public confidence in counter-terrorism legislation." The Home Office claims that the new measures will prevent the misuse of these powers against photographers, but photography trade publications and photojournalists say they are unsure. Olivier Laurent, news and online editor of the British Journal of Photography said the review's recommendations "fall short of our expectations". "Police officers will be given new stop-and-search powers, which, as we've seen in the past, could be abused if these officers don't receive the right training. "Recent cases, as reported by Amateur Photographer and BJP, have shown that there is still a belief among police forces and security personnel that photographing in a public place is a suspicious act. "We look forward for the new legislation and guidance and call on all photographic organisations to help raise awareness, among police forces and the photographic community, of photographers' rights." Photojournalist Marc Vallée also said he is not convinced: "I do not think for one minute that these new powers will protect photographers from harassment and abuse from the police on the streets of Britain, far from it," he told Journalism.co.uk.